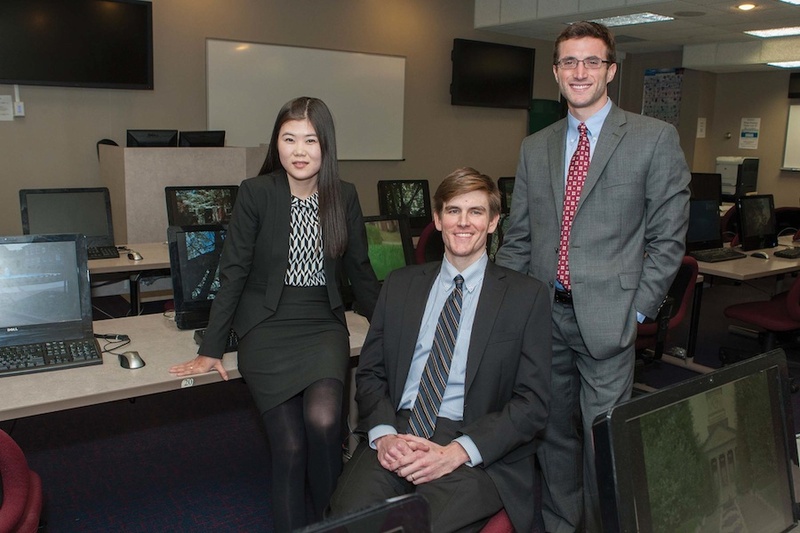 M.B.A. students from Samford University’s Brock School of Business won second place in an international competition sponsored by Baylor University. The winners were announced Jan. 10 in Fort Worth, Texas, at the U.S. Association of Small Business and Entrepreneurship (USASBE) competition and annual conference. Kevin Gibson, Josh Reed and Lu Wang wrote the case “Urban Cookhouse” last summer under the supervision of Professor Chad Carson, associate dean in the Brock School of Business. This case focused on the opportunities and challenges facing the Birmingham restaurant and co-owner David Snyder as he considered the firm’s strategic growth options and human resources challenges resulting from this growth. Other schools with finalists include Baylor University; University of San Francisco; Erasmus University (the Netherlands), Universiti Tun Abdul Razak (Malaysia) and IBS Hyderabad (India). Marlene Reed, competition coordinator at Baylor University and former Samford business dean, said that this was the most competitive year yet with a record number of submissions.